#1. What about those WHO DO NOT FEEL SAFE? The very idea of leaning backwards, inverting at a High Angle and going upside down is enough to make some people break out in a sweat. Are you one of the many WHO ARE AFRAID OF – OR UNABLE TO – HANG UPSIDE DOWN in the first place? Gravity Pal is the effective Low Angle Solution for you!! There are 3 BIG PROBLEMS with High Angle Inversion Tables that Gravity Pal Solves. High Angle Inversion Problem #1: Potential Ligament Damage and Ankle Pain. Once a ligament is overloaded and over stretched it is nearly impossible to have it regain it’s original shape. As we get older this is a significant concern and doctors warn of potential damage to ligaments in hips, knees and ankles from over stretching. 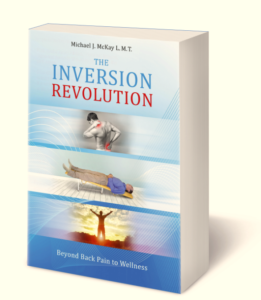 A Brief Historical Perspective of Inversion Therapy. I remember well in 1980 when the actor Richard Gere made Gravity Boots famous in the movie American Gigolo. What most people do not realize is, that movie kick started a movement away from Low Angle Inversion and toward radical Upside Down and High Angle Inversion. The history of seeking relief from gravity goes back to ancient times. There are reports from around 400 B.C. of Hippocrates observing people being lashed to ladders that were then hung upside down; presumably the “patients” were volunteers.